Did any of our furiends take toesies shots this week? We sure love us some furry toesies around here! Please always keep in mind that declawing a cat is not just a removal of the claw, but also a removal of part of the actual toe itself. This means that, since it is missing part of the digit of each declawed toe, a declawed cat has to learn to walk in a manner at least slightly different than cats that are not declawed. Declawing and the resulting altered method of ambulation can lead to pain, which could potentially lead to aversion to using litter and other such issues in life. What's more, the affected cat may very likely develop significant arthritis later in life. If debating whether or not to declaw a cat, please keep these effects of declawing in mind, as they will affect the cat for the entirety of its life. Mancat Monday: Happy Memorial Day! It's Monday, which means my mancat Evan is our spokeskitty today. Evan would like to ask our US furiends to please take a moment on this Memorial Day to remember all of the service men and women, as well as the furry heroes, who have lost their lives while fighting for us and our freedom. We are grateful for all of those who serve our country, and for the many sacrifices that these brave heroes make each and every day. Please remember to keep your furbabies indoors and safe on holidays, especially summer ones when neighborhood barbecues, fireworks, and other festivities might be going on. Keeping your furbabies in a safe, secure area on days such as these will ensure that they do not get loose or run off if they become frightened by any of the out-of-the-ordinary neighborhood goings-on. 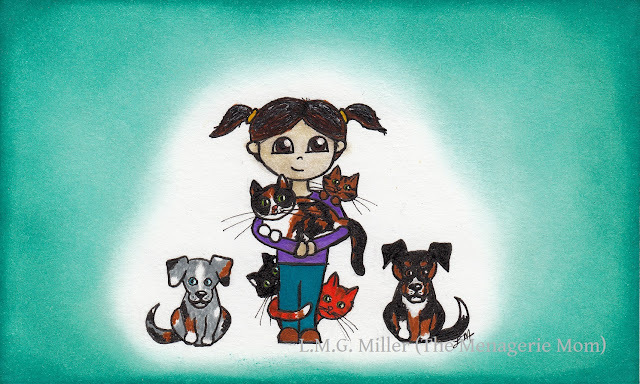 For yesterday's Caturday Art blog hop, I shared a drawing that I created in honor of the furry friends with whom I was blessed enough to share my childhood. I then noted that I would use today's Sunday Selfie blog hop, hosted by our great furiends over at The Cat on My Head, to let you all get to know the furbabies in the drawing a little more. Luckily, Astrid, Evan, Thimble, and Eddy all indeed gave me their blessing to shake this Sunday Selfies post up a bit. Today, I'll be sharing some old selfies, selfies from way back before selfies were even selfies, selfies from the best friends I ever could have asked for as a child. Let me start with the beloved furbaby that my regular readers already know. You guessed it - Rosie! 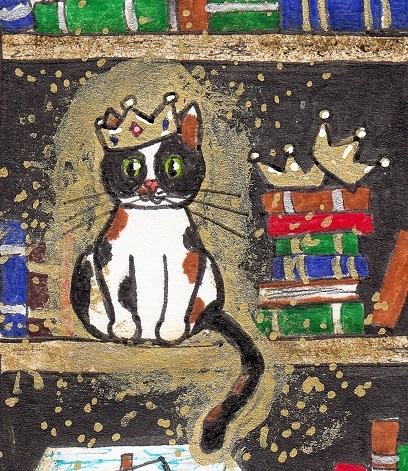 I portrayed Rosie as the royal little angel she always was while on this earth, and that I'm sure she still is now. Saying that I grew up with Rosie barely even skims the surface. My parents adopted Rosie and her brother (stay tuned, as you'll meet him next) back when I was 4 years old. Rosie stayed by my side throughout my early life, and I mean all throughout my early life. She was there for my first day of kindergarten, through grade school, my first day of high school, high school graduation, four years of college, my college graduation, and even all the way until I was settled in my third (and current) job in the real world. 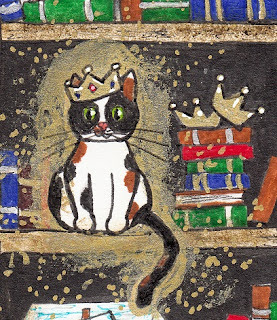 Rosie was always a true calico, set in her ways and content to set the rules. But, she was also one of the sweetest, most loving, and most beautiful creatures to ever walk this earth. She was my loyal companion and confidante as I made my way through some of the most crucial years of my life. This sweet girl always knew how to make me smile. As I said above, next up is Rosie's brother, Sammy. 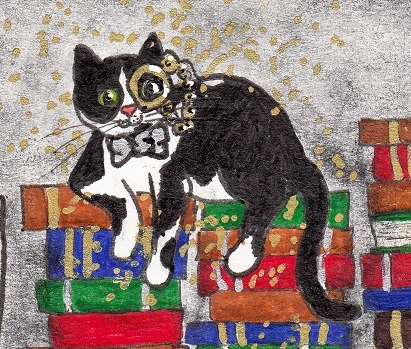 In the drawing above, Sammy is the black and white mancat, chilling out on a stack of books, wearing a monocle and bowtie, because that's what cool dudes do. Truth be told, when my parents adopted Rosie and Sammy as kittens, Rosie was technically my sister's and Sammy was mine. Although this didn't really stick, it did have its origin. It came about when, upon deciding that we would be adopting feline furbabies, my mom asked my sister and I if we had any certain type of kitties in mind. At the time we were asked that question, my sister and I were looking through some books about kittens. My sister pointed to a calico and said she wanted one that looked like that (good choice, sis! ), and I couldn't help but point to a picture of a black and white kitten rolling its belly up and looking all cute and playful. Long story short, my mom called around to some of the local rescue groups and shelters. One of them told her that they indeed did have a calico as well as a black and white kitten, and that they were litter mates! And so, Rosie and Sammy came home as the newest members of the family. 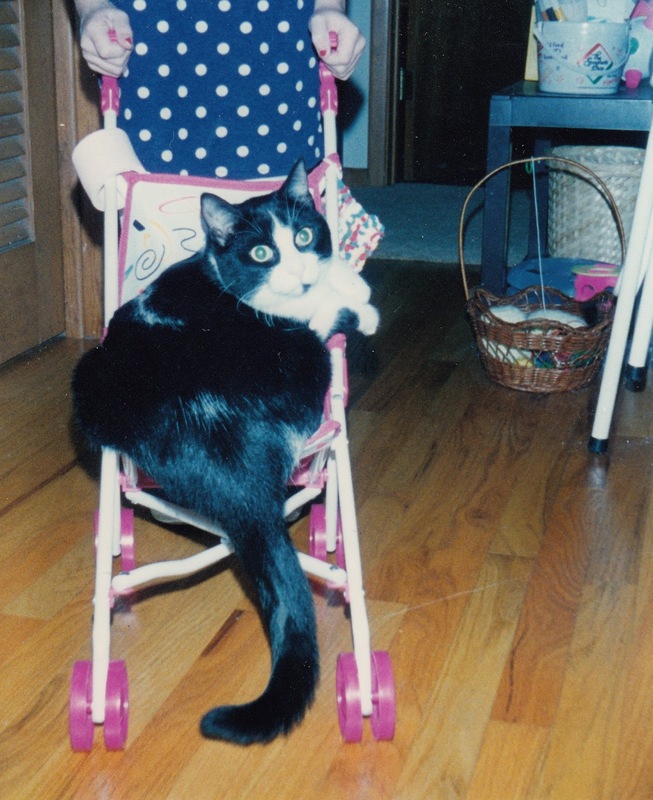 This good boy always seemed more than happy to let my sister and I push him around in our toy baby strollers. He had to get help showing off those strollers skills for this selfie. After all, selfie sticks didn't exist in the '90s. I will always cherish the time I had with my sweet boy Sammy. Sadly, that time was far too short, and I wish I had been able to spend far more of my childhood with him. 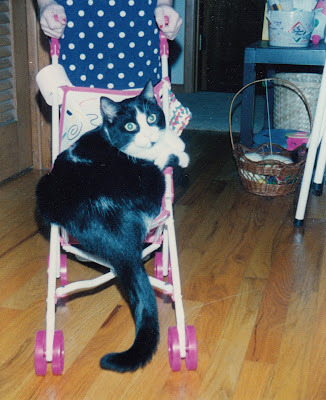 Sammy was only 5 years old when he was quite suddenly called to the Rainbow Bridge on February 13, 1999. What called Sammy away from us was almost certainly hypertrophic cardiomyopathy (HCM), a sometimes undetectable heart condition that, when undetected and therefore untreated, often results in a blood clot like that which Sammy very likely suffered on that fateful day. I may have only had 5 years with Sammy, but that was enough time for him to leave a major impression on me and my cat-loving ways. My family brought home our first family dog when I was about 6 years old. That dog was a handsome, blue-eyed Australian Shepherd that we named Banjo. 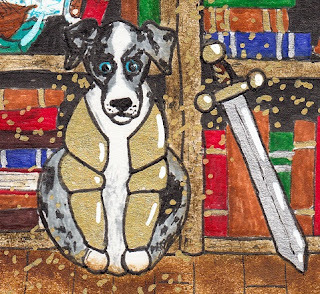 In my above drawing, Banjo is the one portrayed as a knight in shining armor, with a sword and all. We brought Banjo home when he was a young puppy, and he was an active one. He could play and play and play and still never want to stop. Growing up, my sister and I loved this! In addition to being active and playful, though, I'll admit that Banjo was not a very social dog. No matter how many attempts we made at training and socializing him, the number of humans he liked was always very small, and pretty much limited to those living under the same roof as him. The same went for other animals. That being said, although Banjo may not have liked outsiders, when it came to his humans, I truly believe he would have been willing to die for us. He was a protector, and whether or not growing up with us instilled this in him, Banjo guarded over my sister and me as if his life depended on it. A kid couldn't have asked for a better babysitter than Banjo. Or a better security guard. Security guard selfie! Banjo was always there to make sure that no one (you know, like that evil mailman) dared have the audacity to walk up to the house. Although I may be a bit biased, I can't help but say that Banjo was one of the most intelligent four-legged furballs I have ever met. He learned a lot of commands and tricks in his lifetime, and he seemed to understand vocabulary far easier than you'd think possible for a dog. Ultimately, even spelling some of Banjo's favorite words ("walk" being his absolute most favorite) wasn't good enough to keep him from understanding it. What's more, Banjo knew the name of each and every one of his humans, as well as his furry siblings, and if asked to find one of them, he would. This came in very handy when my sister and I wanted him to play hide-and-seek with us. He was as close to a human brother that my sister I ever needed. Banjo was with us all the way until my first year of college, when, at the age of 12, he made his way to the Rainbow Bridge on January 31, 2008, after a battle with a disorder of the liver. Needless to say, that was a rough time for our family. It's hard to describe the despairing feeling of losing not only a furbaby, but one which seemed more human than you'd ever imagine possible. I know that Banjo is watching over me, just as he always did during his time on this earth. Last, but certainly not least, is a pup known as Shellie. I portrayed her as the fashionable singer in my drawing. My family brought home Shellie one year after Banjo came into our family, when I was roughly 7 years old. We wanted Banjo to have a playmate, and we decided on a Shetland Sheepdog. Well, we got a little lady that was at least part Sheltie, but certainly not full. After all, Shelties don't grow to be over 60 lbs like Shellie did. My family never cared that Shellie outgrew our expectations, though. Who cares about size when a dog is as sweet and happy as Shellie was? Honestly, I've never known a dog who truly, genuinely smiled as much as Shellie did. And she was a kisser. She loved to give wet and slobbery kisses, and lots of them. What's more, she was one of the most huggable dogs ever. Not only was she perfectly content to let you squeeze on her, but she was the fuzziest kind of fuzzy around, and it was like hugging a giant teddy bear. Needless to say, my childhood self loved having a teddy bear for a puppy. A selfie to show off her shag! Shellie was incredibly furry, and therefore very, very huggable. Just as much as Shellie was a kisser and hugger, she was also a talker. We always joked that she must have really loved the sound of her own bark. She would talk to her humans and furry siblings when she wanted to play, or when she wanted food, or when she simply felt like talking. She would talk to anyone who came in the door, whether she knew them or not. She would talk to other dogs on walks, and to cats, and to anyone and anything that she saw on walks. She would talk to people and animals who walked past the house, even from inside, where they couldn't hear her. Again, though, who can find fault in a talker when they're as sweet as Shellie was? For the same reason, we couldn't blame her for being the chewer and destroyer of inanimate objects in the house. As Shellie grew older, she began to show her age. She developed arthritis, she went deaf, her eyesight began to decline, and she even went through two bouts of "old dog vestibular disease" that resulted in dizzy spells. However, with all of the grace of her more youthful years, she continued to smile, and she could still always bring smiles to the faces of her humans. Even when she needed daily medications, and needed to wear a vest with handles so that we could help her up and down with ease, she smiled and smiled. And she still loved to talk. She did all of this all the way until June 8, 2011, when, at the age of 14, she lost her battle to lymphoma. I will never forget my sweet Shellie's smiling face, or her furry bear hugs, or her beautiful voice. Whew. Was that long-winded or what? My apologies. Kudos to those who made it through the whole post! Wishing everybuddy a wonderful Sunday! To finish up our short series of posts on allergies in our furbabies, how about a few tips on helping your furbaby combat those allergies? If your furbaby seems bothered by airborne allergies, such as pollen, it may be best to keep windows closed. Also, don't forget to wipe off or remove your shoes when coming inside, as well as wipe off furry toes when they come in from outside, as they can track in pollen, grass, and other allergens. If your pup seems to itch and scratch a lot, perhaps consider a special shampoo formulated for sensitive skin or allergies. There are over-the-counter shampoos that are meant to soothe the skin, such as those containing oatmeal. And, of course, your veterinarian may have suggestions on shampoos, as well as medicated shampoos, should your dog need something more potent. To keep your dog's space as well as the whole house free of any allergens building up, be sure to wash pet beds and other such laundry regularly. In some cases, a furbaby may need medication, such as antihistamine, to combat allergies. So, if your furbaby seems to have trouble with allergies, consult your veterinarian regarding the best treatment plan. The short explanation is that I've always loved to read, daydream, and overall hide away from reality at times. Honestly, there's something fun about escaping the world around you and traveling into the world of a good book or even just into the world inside your own mind. What's more, as a child, my furry friends would always be right by my side for all of these personal little adventures of mine. They were my playmates, my lending ears, my best friends. 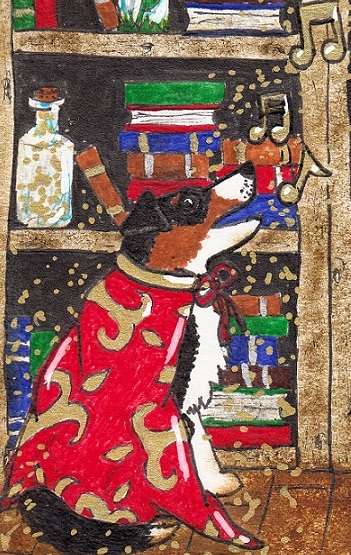 And so, this one is for my furry childhood companions, who went on many, many adventures with me. If all goes as planned, our Sunday Selfie post tomorrow will include some tidbits to let you all get to know these furbabies a little more. So stay tuned! My furbabies and I want to wish everybuddy a beautiful Caturday! Yesterday I offered a brief list of some of the most common symptoms of allergies in furbabies. What types of things can cause these symptoms, though? The answer is, pretty much the same kinds of things that can leave us humans itchy and snuffling and irritated. Allergens for our furbabies can include grass, pollen, dust and dander, mold, and flea bites. Of course, there are plenty of non-seasonal allergens as well, such as certain foods and shampoos. If your furbaby starts displaying signs of allergies, try to pinpoint when it flares up and what your furbaby is being exposed to at that time. If it's primarily after strolls outside or while windows are open, then it could very likely be airborne allergies to pollen or other seasonal allergens. On the other hand, if allergy symptoms arise after your furbaby has started on a new food or started a new bottle of shampoo, then those can be indications as well. As always, if you are concerned your furbaby suffers from allergies, don't hesitate to contact your veterinarian. Aren't Fridays just the best? It means the weekend is upon us. And, hopefully for all of our US friends, Memorial Day means this is a three day weekend! What's more, Friday means it's time for the Friendly Fill-Ins challenge, hosted by our good furiends over at 15andmeowing and McGuffy's Reader. I love this kind of challenge, because it really gets your mind thinking. What's more, it allows us all to get to know each a little better. I always _________ on Memorial Day (or your country’s equivalent). I used to wish ________, but _________. I just cannot _________, no matter _________. Sitting still is so overrated. My furbabies and I want to wish everybuddy a wonderful Friday! Allergy season is upon us, so I've decided to dedicate a couple of tips on how our furbabies can be affected by allergies. Today, first and foremost, I'll focus on some examples of symptoms you might see if your furbaby suffers from seasonal allergies. Keep an eye out for red and itchy skin or eyes, discharge or excess moisture from the eyes, sneezing, excess scratching or licking (especially of the ears, face, and feet), and snoring or other abnormal respiratory sounds or signs. As I'm sure many of us know firsthand, allergies can make you feel under the weather and uncomfortable. Therefore, if you see your furbaby manifesting any of the aforementioned symptoms, or any other concerning signs this time of year, it might be time to have a discussion with your veterinarian. This human is still learning the ropes of photography, especially with her new camera. Often, when fiddling with things like white balance and exposure, mistakes are made. Sometimes, though, these mistakes result in effects of which I am sort of fond. That being said, my little lady Thimble loves to pose in front of windows and screen doors. On bright and beautiful days full of sunshine, the novice photographer in me really gets a run for her money. I can only tweak the camera settings so much before I am out of ideas on how to combat that big glowing ball in the sky. Often, I end up over-exposing shots taken in the sunlight. You know what that means? My pretty little model turning into a glowing angel. These mistakes, I like. A very happy Thursday to all of our furiends! Especially if your cat or dog has long and dense fur, and especially if your furbaby is prone to matting, a shave is sometimes necessary. However, please keep in mind that, even in the summer months, it is not advisable to give your furbaby a full shave, or a shave all the way down to their skin. Cat and dog fur is not like our hair, and instead can act as a means of temperature regulation both in the winter and summer. Just as cats' and dogs' fur traps warmth to help insulate them in the winter, it also traps cool air to help manage their body temperature in the summer. What's more, cutting your furbaby's fur too short, such as all the way down to the skin, can cause direct exposure to the sun, which of course increases the risk of damage or cancer of the skin. Of course, sometimes a shave is called for, but keep in mind that nature didn't design our furbabies to be naked! Astrid's here today, to give you her not so wordless thoughts on window gazing. "I sure do love me a nice and sunny window all to myself." "Whoa! What's going on? I'm under attack!" "Hmph. I really wasn't looking for company, Thimble." "Fine, Thimble, then I'll use your tail as a pillow. How's that, huh?" "Hey, stop that! I can't see!" "Ack, gross! There's kitty hair in my mouth!" "Okay, whew, I think she's gone. Back to gazing out the window." "Oh no, what's that behind me?" "Good grief. Et tu, Toby?" "Sheesh, Toby, you're going to give my photo shoot an adult rating, flashing your chest like that." "Oh, are you leaving, Toby? Did I offend you?" "Okay, now I'm tired. Forget the window gazing. I think it's time for a nap." When introducing and mixing new furry members of the family, never forget the importance of having patience. It can take some time for furbabies to not only get to know each other, but to learn to get along. It all starts with the first impression. When introducing a dog and cat, it is perhaps best to tire the dog out before the first encounter, such as by taking him or her on a walk. What's more, for at least the first visit between a dog and a cat, it is often best to leave the dog on its leash. It's also often recommended, and for probably very good reason, that it's best to let the cat set the pace during first encounters between a dog and cat. Always make sure to stick around and chaperone the meeting, but, at the same time, it is very important that you not force any interactions. Allow the furbabies to observe each other from a distance, if that's what they want. All in all, it may take some time for a dog and cat to get used to each other. But, with some time, patience, and understanding, even a dog and cat can come to an agreement to coexist in peace. I'm always excited when any of my furbabies give me toesies shots. There's just something so unbearably adorable about those furry little feet. That being said, today's Toesies Tuesday is brought to you by Astrid. No other furbabies would give me toesies shots for today, not even my model girl Thimble. Perhaps that's because Thimble has been busy on duty. You see, she's my self-designated tech support. Whenever I need assistance with my computer, Thimble is always (always) more than willing to help. When error messages appear on the screen (error messages which or may not have resulted from furry paws stomping on the keyboard), Thimble will get down to the nitty-gritty to figure out the problem. Thanks for the, um, "help", Thimble! I don't know what I'd do without your expertise. Wishing everybuddy a happy Tuesday! Purring has been proven not only to comfort cats themselves, but also humans. There are a number of research studies that have found purring to be beneficial for both feline and human psyche, but also for both of them physically. I'm sure many of us have heard of the encouraging study results saying that a purring cat relieves stress, both for the cat and the human. Petting a purring cat has been found to reduce blood pressure as well as reduce the risk of a heart attack. Did you know, though, that some studies even point to the potential conclusion that the vibrations of a purr can help heal injured muscles and bones, as well as possibly help to heal infections and swellings? So, today's tip is simple and easy - don't ever forget to pet your kitty, and let him or her purr away! After what seemed like an eternity of on and off (mostly on) chilly and rainy weather, we've now finally reached warm and sunny. "It's so shiny and pretty, this thing called the Sun." "Aaahhh. I can finally work on my tan." It's like summer may actually be upon us now. My furbabies are thrilled, and so am I. We hope all of our furiends out there are enjoying some warmth and sun, too! Did you know that dogs and cats sweat from their paw pads? They will do this when stressed, such as when at the vet, or when overheated. In such instances, you may notice your furbaby leaving behind moist paw prints. If you do notice this and it is a hot day, be sure to get your furbaby somewhere cool so that they are not at risk of heat exhaustion or heat stroke. Also, if your furbaby is sweating due to stress, try to remove them from the stressful situation as soon as is feasible. We always love when Sunday rolls around. Why? 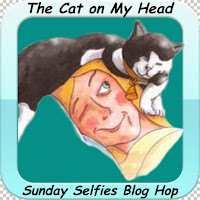 Because it means the fun Sunday Selfie blog hop, hosted by our good furiends over at The Cat on My Head! I especially love when all of my furbabies agree to participate, and this week they did! A very happy Sunday to all of our furiends out there! As much as we'd like to think that it can't or won't ever happen to our furbabies, there's always the horrible chance that our dog or cat can get loose or run away. To plan ahead for such instances, make sure your dogs and cats contain some form of identification on them. If your furbaby wears a name tag, be sure that it includes your contact information. Also consider having all of your furbabies microchipped, and then be sure to keep these chips updated.This way, if your furbaby is lost, a simple scan of the microchip will immediately bring up the information needed to get them home again. In addition to all of that, always make sure that you have an up-to-date, clear picture of each of your furbabies. This way, you can spread the word of your lost furbaby and others can immediately identify them if they catch sight of them. No one wants to even think of losing their furbaby, but in the terrible chance that this would happen, it never hurts to be prepared. For today's Caturday Art blog hop, hosted by our furiend Athena Cat Goddess Wise Kitty, I felt compelled to create something to honor all of the furbabies who have helped shape me into the person I am today. I have wanted to do something like this for a while, and just now got around to a first attempt. All the way from childhood and now into my adulthood, I have been lucky enough to share my life with a number of furry best friends. That being said, fitting all of the furbabies I've loved into one drawing would take lots and lots of time and ink. So, for now, I've tried to create a piece that combines all of them and their wonderful attributes into a communal representation. 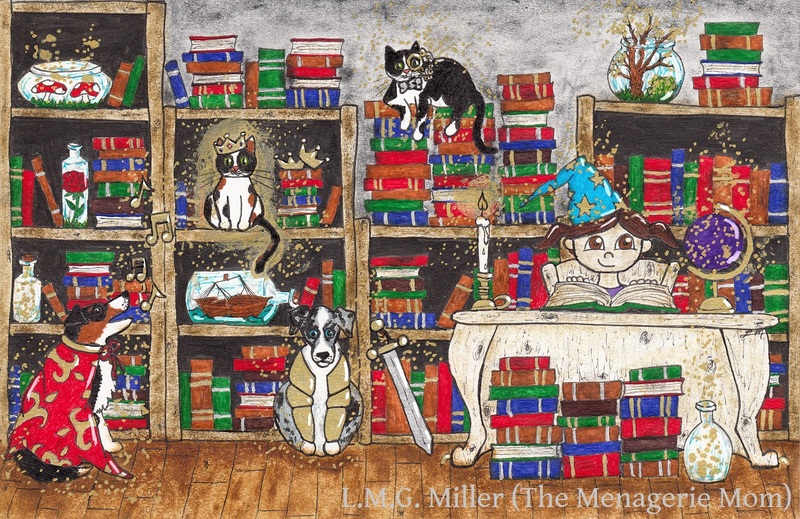 I hope this piece properly honors each and every one of my past and present furbabies in their own way, because each and every one of them has impacted and inspired me. And I wouldn't have it any other way. I was going to use this post to give you all a proper introduction to the furbabies that played such significant roles in my childhood. However, I'm going to hold off on that for just a little longer, because I have another drawing in the works that focuses a little more heavily on those furbabies. So, you will soon enough learn more about these gone but never forgotten furbabies of mine. My furbabies and I want to wish everybuddy a beautiful Caturday! 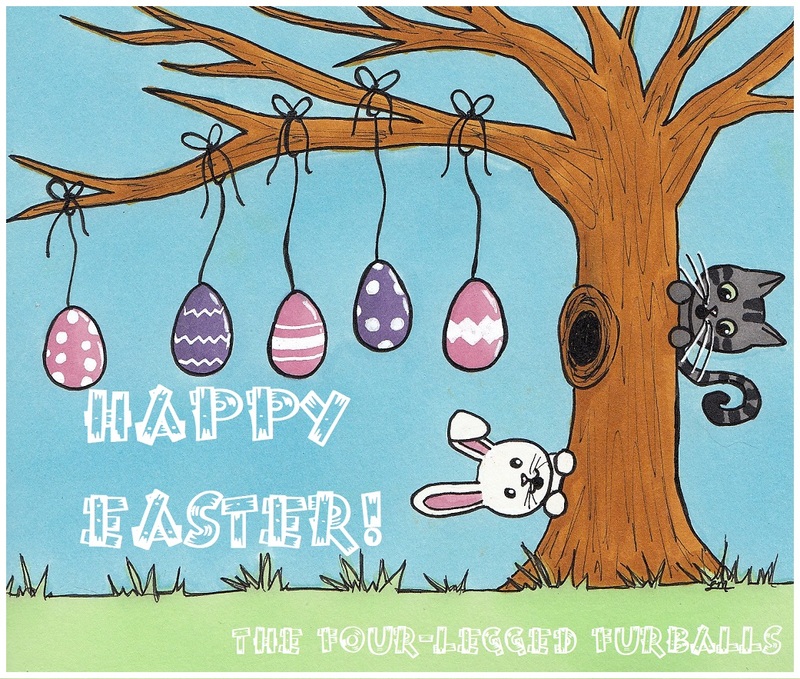 We hope it's filled with lots of family, friends, and fun! Never forget the benefits a pet can have on a child and his or her development. A pet, such as a dog or cat, can serve as a child's best friend as well as a teacher and mentor for the child. Pets not only give children playmates and help keep children active, but they also teach children skills in responsibility, compassion, and even social interaction. This all being said, always be sure to consider the individual child's personality, family dynamic, and overall lifestyle before making the commitment of adding a pet to a child's life. If a pet is indeed brought into the family, be sure the child understands the importance of proper and humane treatment of animals. 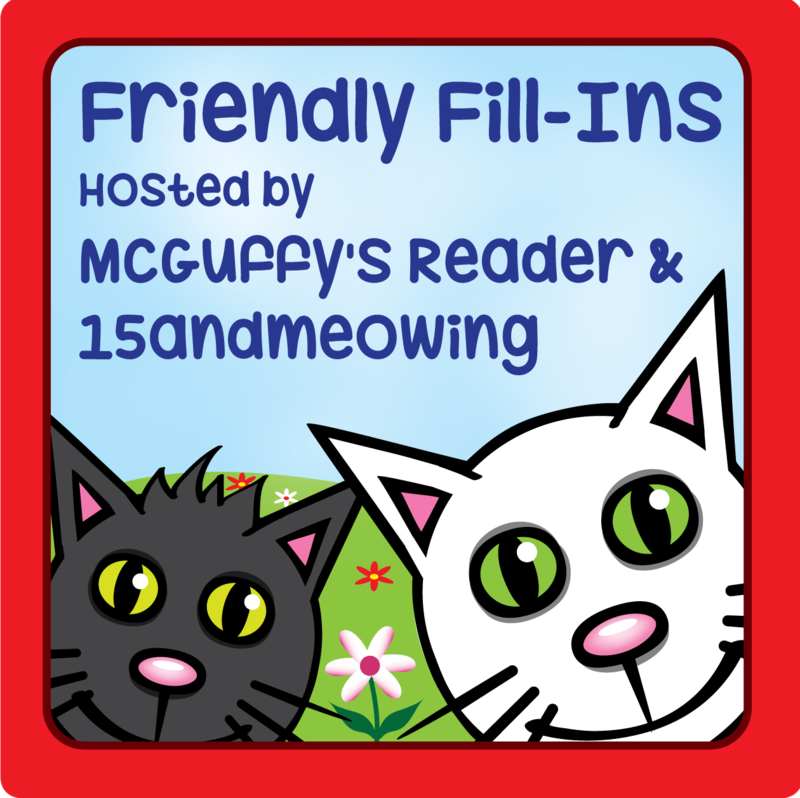 Today is Friday, which means it's time for another Friendly Fill-Ins challenge! My first _________ was a _________. My favorite time of day is _________, because _________. This is only the second week of this challenge, and I already know that I'll be happily participating each week. It's a fun challenge that really gets you thinking, and that lets us all get to know each other a little better. There's not much better than that! And now, for the rest of this post, I figured I would feature my active girl Eddy. The poor girl hardly ever gets a post of her own. Those of you who follow our blog regularly know that Eddy is not the easiest furbaby to photograph. She's always on the go, never ready to sit still for a photo shoot. So, I've decided that in order ensure that she gets her fair share of blog time, I'm simply going to start regularly posting some of her photo attempts, even the ones that aren't so great. Eddy is great at the look-away-at-the-last-second pose. Sniffing the blinds is so much more fun than looking at the camera. Really, Eddy is a pro at looking away at the last second. Wishing all of our furiends a wonderful Friday! Have you ever watched a kitten or puppy sleep and witnessed what looks like twitching in their legs and body, almost as if they're walking or running in their sleep? If you do see this, don't be alarmed. What's more, it might even be best that you not wake them. This is because when kittens and puppies twitch in their sleep like this, it is actually one way in which they and their body are learning motor skills and building muscle. In other words, their bodies are being conditioned and prepared for adulthood even while they sleep. This also goes for human babies, and babies of many species. So, let those babies live sleep and learn! I think I can safely say that, at least once per photo shoot, Thimble gives me a nice yawn. It's sort of her thing, and I've come to expect it. Sometimes I can snap a shot in time to catch it, and other times not so much. Some of Thimble's yawns could win her an Academy Award. Something of which she is very, very proud. Happy Thursday, everybuddy! We hope you all can keep from yawning long enough to make it to the weekend! It's shedding season! For some kitties, this means an increase in hairball output. One of the reasons why cats produce their famous hairballs for us is because of the structure of their tongue. You've all probably experienced the at least mildly painful lick of a cat. This is because cat tongues have what are called papillae, which are hook-like protrusions on the surface of their tongue. In the wild, these papillae can help a cat remove meat off of a bone for nourishment. They also assist in removing excess hair while grooming. The assistance these papillae offer in grooming, though, is also why cats are essentially forced to swallow the fur they've removed from their coat. A lot of the hair that a cat removes while grooming is able to pass through the digestive tract without issue. However, sometimes fur gets stuck in the stomach, and that's when hairballs form. You can help your kitty produce less hairballs by grooming them often, especially during seasons of shedding. Another option is to look into food and/or treats formulated to prevent excessive hairballs. Such foods are made to improve coat health and help in the mobility of the intestinal tract, ensuring that hairballs pass through more easily. And of course, when in doubt, consult a veterinarian. Astrid wanted to capture a nice shot of her ear for this (Almost) Wordless Wednesday. Soon enough, someone came over to keep her company. Can you spot the pair of ears photobombing Astrid? Yesterday I mentioned the importance of knowing the normal vital signs of a cat, and the benefit of being able to check them at home should the need arise. Of course, the same goes for your dog. Just as with a cat, you can try to feel for your dog's heartbeat just behind their front leg, or wherever it feels strongest on their chest (especially in large dogs, you might have to try moving your hand around to find where the heart beat feels strongest). You can check their respiration rate by observing the rising and falling of their chest, and carefully check rectal temperature with a digital thermometer (again, with Vaseline are another safe lubricant on the probe). A normal resting heart rate for a dog can range anywhere from 60 to 140 beats per minute, with larger dogs on the lower end and smaller dogs on the higher end. Resting respiration rates in dogs can range from 10 to 35 breaths per minute. Dog's temperatures are similar to cats, typically ranging around 100 to 102.5 degrees Fahrenheit. Keep in mind that a dog's heart and respiration rates will be elevated after a walk or play session. If these rates are elevated when your dog has not been exerting itself, or if you have any other concerns, consult your veterinarian. Sunday Selfies: Happy Mother's Day!